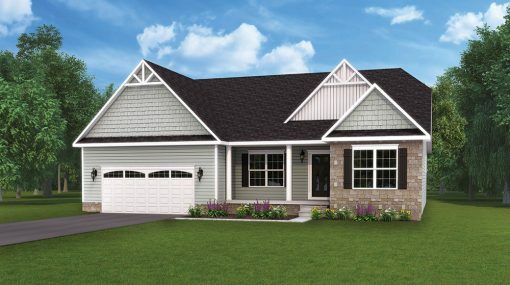 The Autumn is a charming new model offering plenty of living space with a beautiful design. 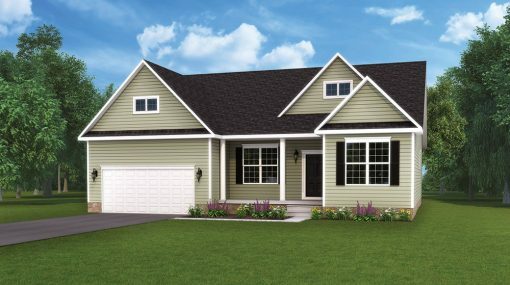 Pull into the large two car garage, or enter from the front porch into the welcoming foyer. 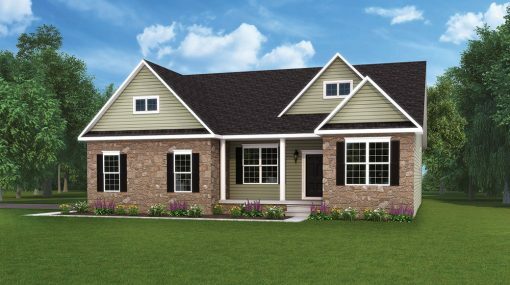 The open floorplan features a spacious dining area and gorgeous kitchen which opens into the large family room. Off to the other side is a laundry room and pantry, which are very easy to access. Next is the owner’s suite, a beautiful room with a convenient walk-in-closet and bath, which features two sinks, a shower, and a bathtub. Or if you would like, you have the option to choose other features. There is also two more bedrooms complete with large closets and a bathroom in between. If you work from home or need a quiet private setting, there is an office located near the front door. And don’t forget the huge unfinished basement, perfect for large gatherings, a home theatre, storage, or additional rooms and play areas. If you choose, there is an option for a 1/2 bath or full bath in the basement as well. Everything about the Autumn can be customized to meet your needs, so be sure to contact our sales managers and go over the details of your new dream home.